It was great, fab location. Friendly welcoming staff; clean and positive environment!! Nancy was the greatest hostess; she welcomed us warmly and even drove us into town for dinner our first night. We loved her apartment! 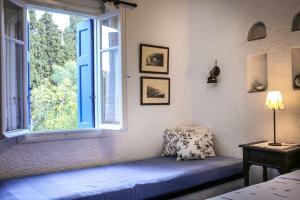 Nancy and her staff were so welcoming and so wonderful and the apartment was traditionally Greek and dripping with charm! We would love to go back again. Nancy (the owner) was extremely warm, welcoming, helpful and effective. Gave us lot's of tips on where to go, where to eat, etc. The staff was also very polite and helpful. 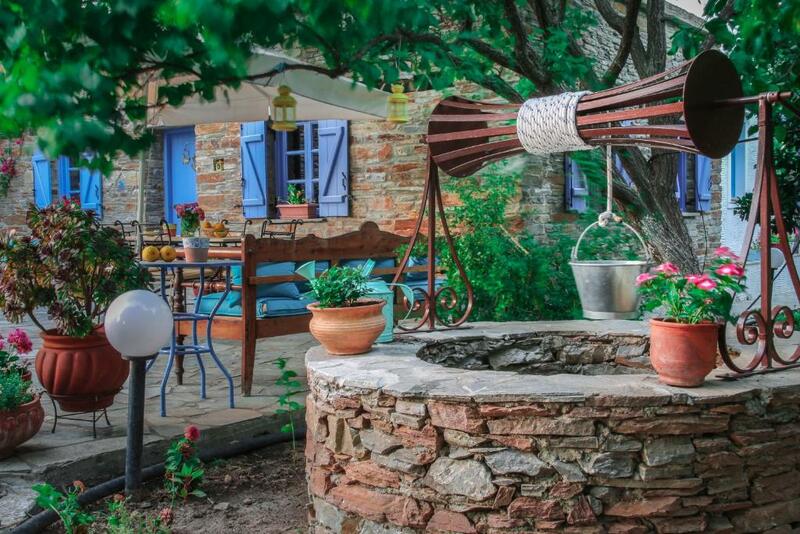 Location was great: very close to Chora but also quiet and serene. Overall, it felt like staying at a friend's house. Our kids played together and our families even went out for ice cream at Chora. This was true Greek hospitality ("philoxenia"). The location was perfect, on the edge of a lovely town with the feeling of being in the countryside. The accommodation was excellent with comfortable bed, quality bedding, super bathroom with shower and kitchen area with fridge, microwave and electric ring for pans. Outside was a private patio with table and chairs and facility for drying small items. The best feature was Nancy, the landlady who was so friendly and helpful and spoke excellent English as well as Greek, French and Italian! The most memorable part of our stay was Nancy, our extraordinary host, we were her last guests of the season but we wouldnt have known it had she not told us. Her energy, kindness and passion for her job and for the area were boundless, we felt incredibly well looked after. For example, my friend has a number of dietary needs which Nancy went above and beyond to cater for. Nancy also kindly let us leave some luggage after checking out which really lightened our packs during our next couple of days hiking. The setting of the hotel is very nice, it was only a short walk to some great restaurants. (Nancy provided some great recommendations.) We had a couple of great nights sleeps due to comfy beds and a really quiet environment. Would highly highly recommend saint louis! 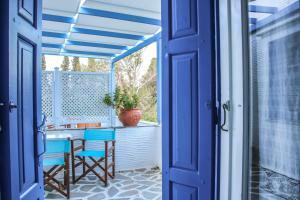 Perfect place to stay in Andros!! 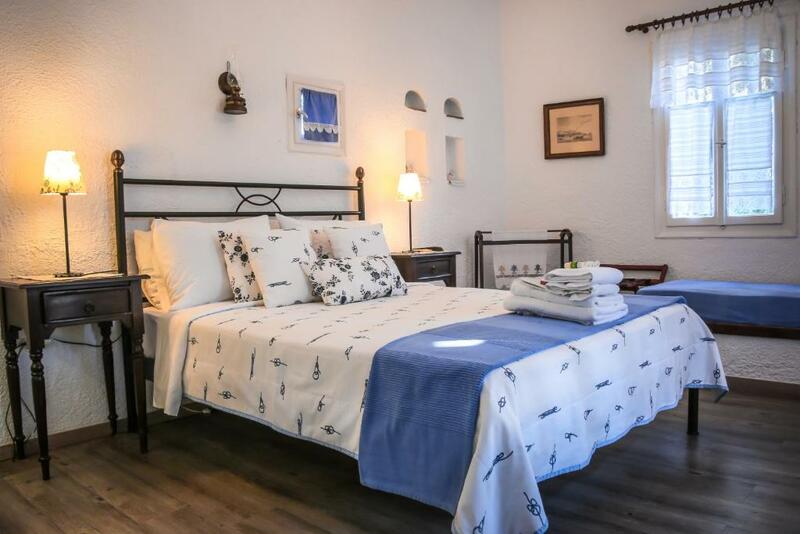 !The room was very clean,quiet and comfortable.Nancy(the owner)was very kind,joyful and helpful and she gave us lots of tips and information for our stay.I am totally recommend it!!! A lovely place to stay in Andros. The owners of the hotel (Nancy and Stamatis) were very kind and helpfull. The room was very very clean and of good size. 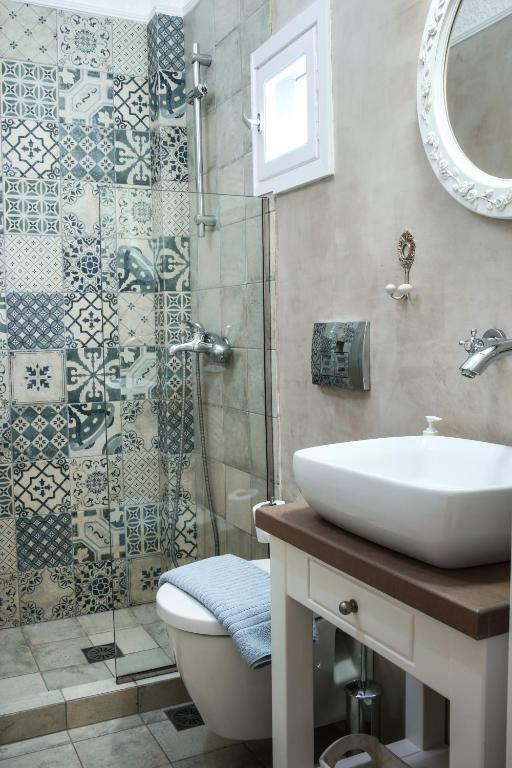 The style of the room was modern but with traditional characteristics as well. 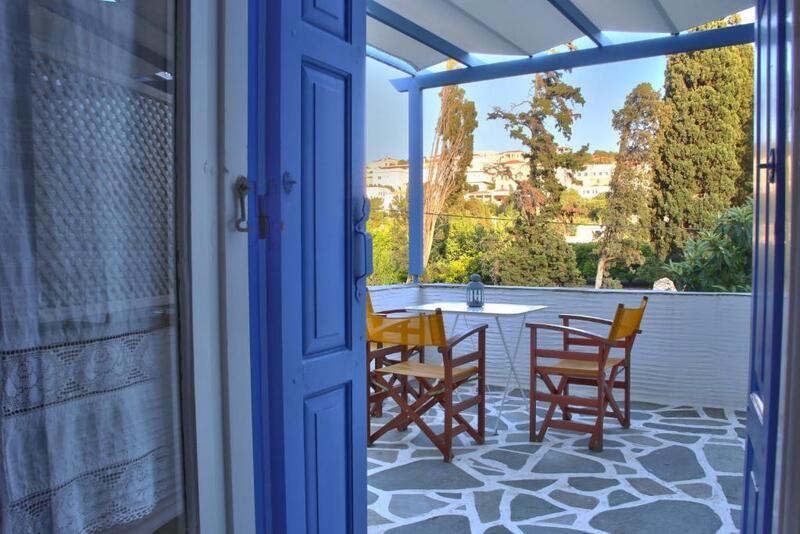 Situated closed to the town of Andros but no so close which make it a perfect choice to relax and enjoy the surrouding environment full of trees. Lock in a great price for Saint Louis – rated 9.9 by recent guests! Set amid a lemon tree garden, 2,300 feet away from Niborio Beach, Saint Louis is a Cycladic-style guest house with a charming furnished terrace. It offers traditionally decorated accommodations with kitchenette. Maintaining the local style, the 10 air-conditioned studios and apartments feature iron beds, stone-paved floors and built-in sofas. They are fitted with a TV, iron and hairdryer. All units open out to a furnished balcony and provide garden or sea views. 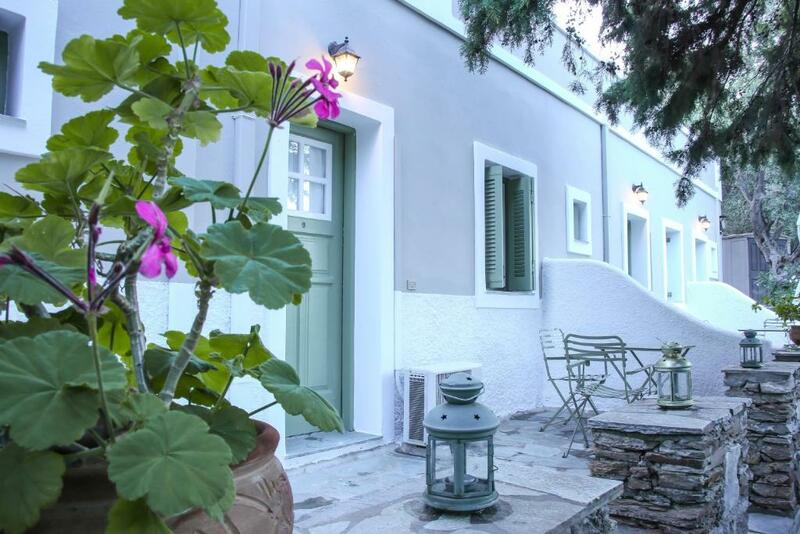 Within 0.6 mi, guests can reach Chora, the capital of Andros, and visit the local Museum of Modern Art,as well as the archaeological museum. The village of Messaria is 1.9 mi away. Wi-Fi access in public areas and on-site parking are provided free of charge. 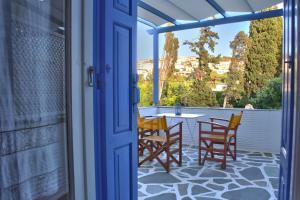 뀐 Located in the top-rated area in Andros, this property has an excellent location score of 9.5! When would you like to stay at Saint Louis? House Rules Saint Louis takes special requests – add in the next step! 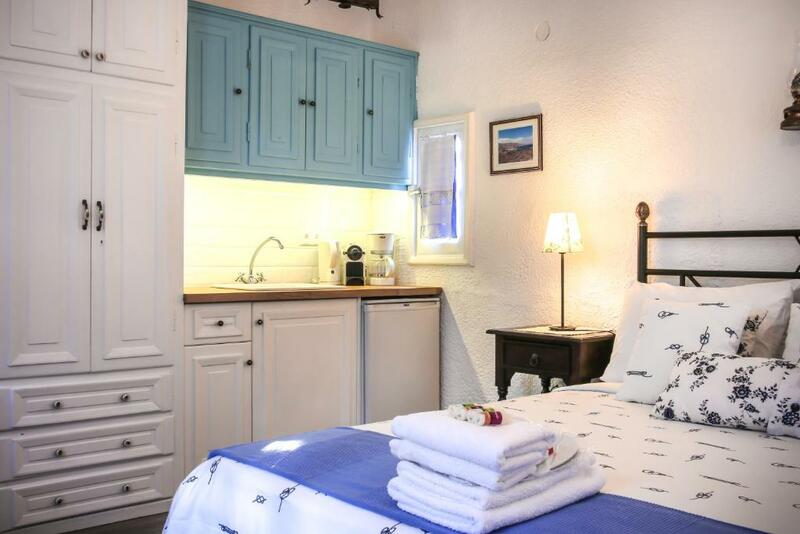 One child from 2 to 10 years is charged EUR 10 per person per night when using existing beds. Saint Louis accepts these cards and reserves the right to temporarily hold an amount prior to arrival. Please inform Saint Louis of your expected arrival time in advance. You can use the Special Requests box when booking, or contact the property directly using the contact details in your confirmation. This is just a wonderful place! The room was beautiful, quiet and comfortable, the place in the middle of a lemon orchard just a bit away from the little town. But the best part for me was the host Nancy, who welcomed me with warmth and told me all the best places to go to, from hikes, to restaurants and the nicest beaches. I couldn't ask for more.